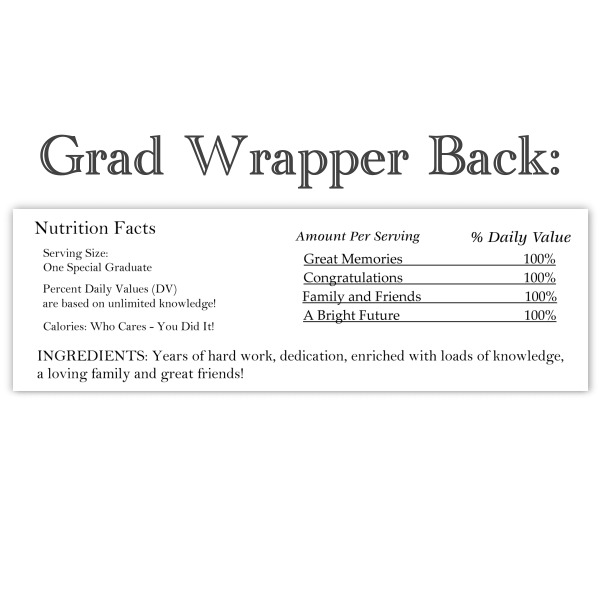 Our graduation wrappers fit Hershey's full-size 1.55 oz. chocolate candy bars. We include silver foil as well as the personalized wrapper to mirror the original Hershey's candy wrapper. Easy, illustrated wrapping instructions are included in your order - all you need is a glue stick or tape. Candy is not included. 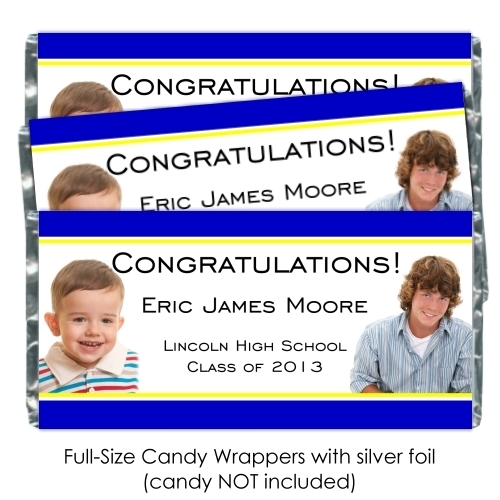 Please allow 5 business days to fulfill your custom candy bar wrappers order; then add ship time. Shipping is a flat rate of $3.00. High School / Class of?